Joachim van den Hove lived and worked in Amsterdam in a particularly prosperous and culturally vibrant period, the Golden Age of the Republic of the Netherlands, when overseas trade brought in immeasurable riches. Van den Hove�s instrument was the lute, the most fashionable instrument at the time. 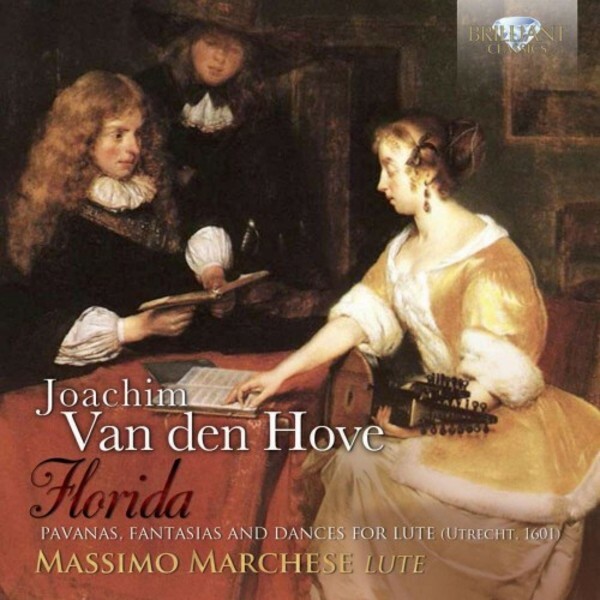 He published three substantial collections of lute compositions, one of them called �Florida�, published in 1601, containing a wealth of works from a wide variety of sources: Italian Pavans, German Allemandes and Passemezzos from France, a proof of the attraction of Amsterdam as an international cultural melting pot. Most of the works were in fact written or arranged by van den Hove himself. Lutenist Massimo Marchese did extensive research into the lute manuscripts of the Golden Age. He is a brilliant instrumentalist who has already successfully recorded for Brilliant Classics.